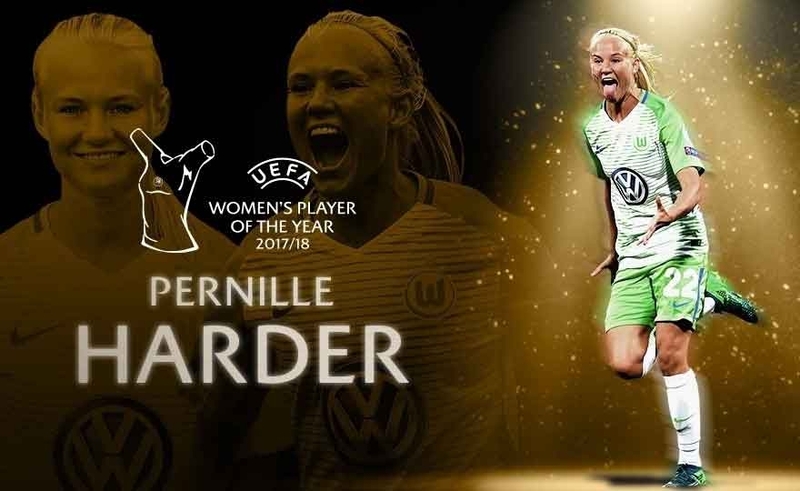 Pernille Harder of Wolfsburg and the Danish national team won the UEFA Women's Player of the Year award 2017 / 18. 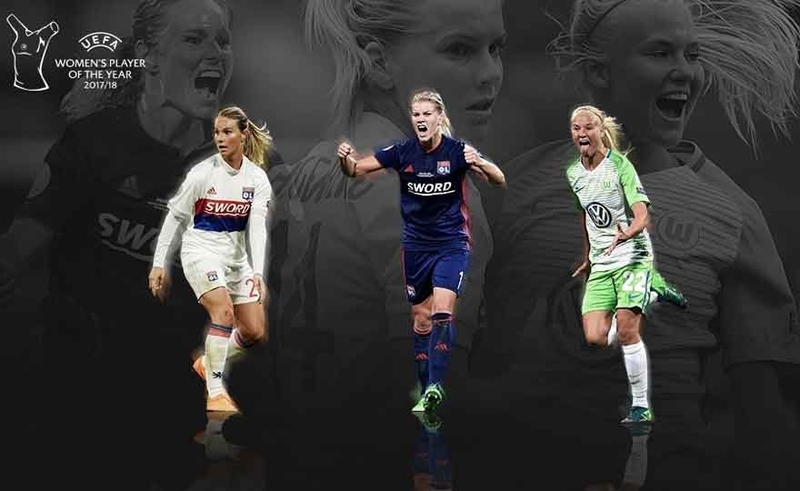 Harder is the sixth different winner of the award in six years of history has closed before colleagues Ada Hegerberg and Amandine Henry. 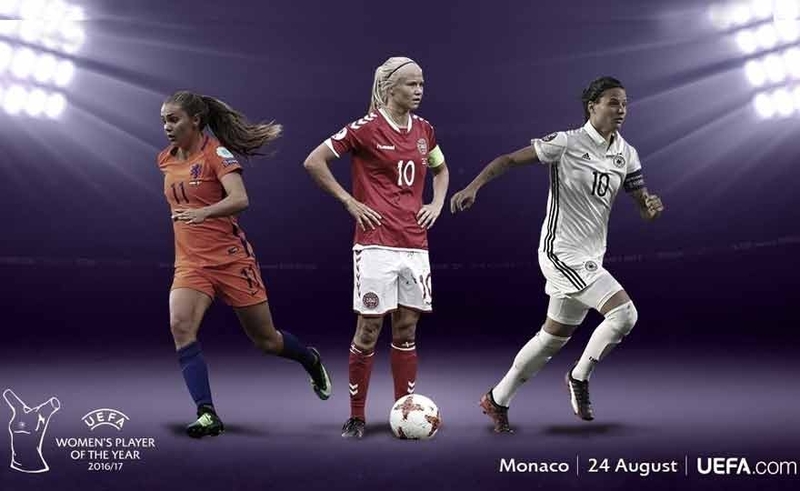 Pernille Harder, Ada Hegerberg and Amandine Henry are the three nominees for the UEFA Women's Player of the Year award 2017 / 18, which will be presented on August 30 in Monaco. 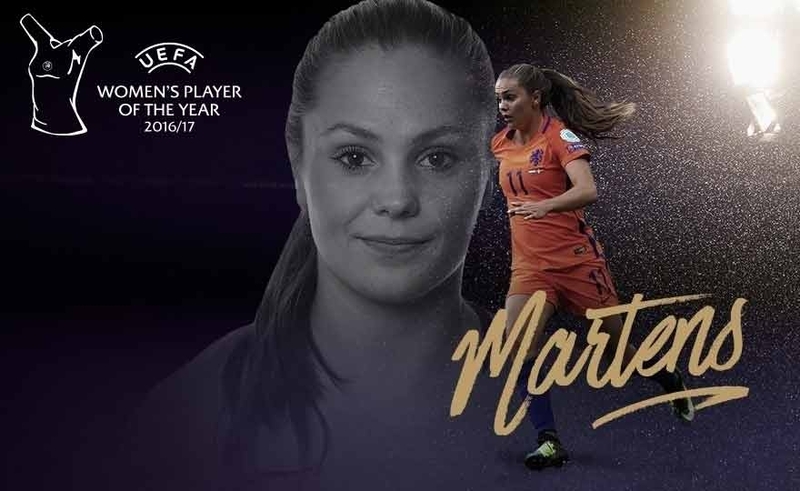 The Dutch star Lieke Martens won the UEFA Xnumx / 2016 Awarding Player of the Year award. The Barcelona striker 17enne, who recently helped the Netherlands win UEFA Women's EURO 24 at home and brought Rosengård to the UEFA Women's Champions League quarter-finals, received the award at the award ceremony in Monaco on Thursday. UEFA Champions League 2017 / 2017 group stage. Pernille Harder (Denmark, Linköping and Wolfsburg), Dzsenifer Marozsán (Germany, Lyon) and Lieke Martens (Holland, Rosengård and Barcelona) are the three finalists of the UEFA Women's Player of the Year award. The award will be presented to the winner on Thursday 24 August in Monaco at the UEFA Champions League 2017 / 18 group stage draw ceremony. Ada Hegerberg, Lyon and Norwegian international striker, won the UEFA Best Women's Player award in Europe by beating Amandine Henry and Dzsenifer Marozsán in the final vote. "A true honor". Hegerberg, 21, won the first position in the survey conducted by 20 journalists specialized in women's football and selected by the European Sports Media group (ESM). She is the first non-German winner after Celia Šašić (2014 / 15), Nadine Kessler (2013 / 14) and Nadine Angerer (2012 / 13). Henry and Marozsán also ranked second and third last season.